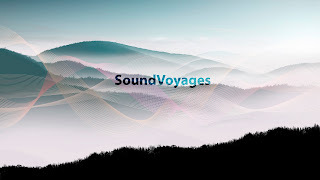 Zigra: Zigra launches a new youtube channel "SoundVoyages"
Zigra launches a new youtube channel "SoundVoyages"
The new channel "SoundVoyages" created by Zigra is dedicated to ambient, soft and epic music. In the channel, Zigra publishes videos with music and images that evoke relaxing environments. All these contents, video and music are produced by Zigra. ...Immerse yourself in a world of musical landscapes... Hours of nonstop ambient, soft and epic music channel to dream, listen at your work, reading, studying, meditation or relax. ...Sumérgete en un mundo de paisajes musicales... Canal con horas de música ambient, soft y música épica para soñar, escuchar en el trabajo, leer, meditación o relax.